A man has been charged with murdering a 25-year-old woman who was found dead in a Berkshire street. John Wright, 32, was arrested on Tuesday when police found Janine Bowater dead in Park Avenue, Thatcham. He will appear at Reading Magistrates' Court on Thursday, charged with murder and grievous bodily harm with intent. 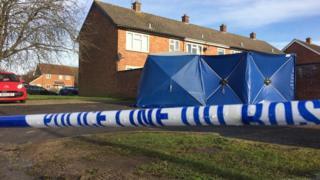 Thames Valley Police said a post-mortem examination found the victim, from Thatcham, died from compression of the neck.